Dimensions: 20 x 15 x 13 cm approx. 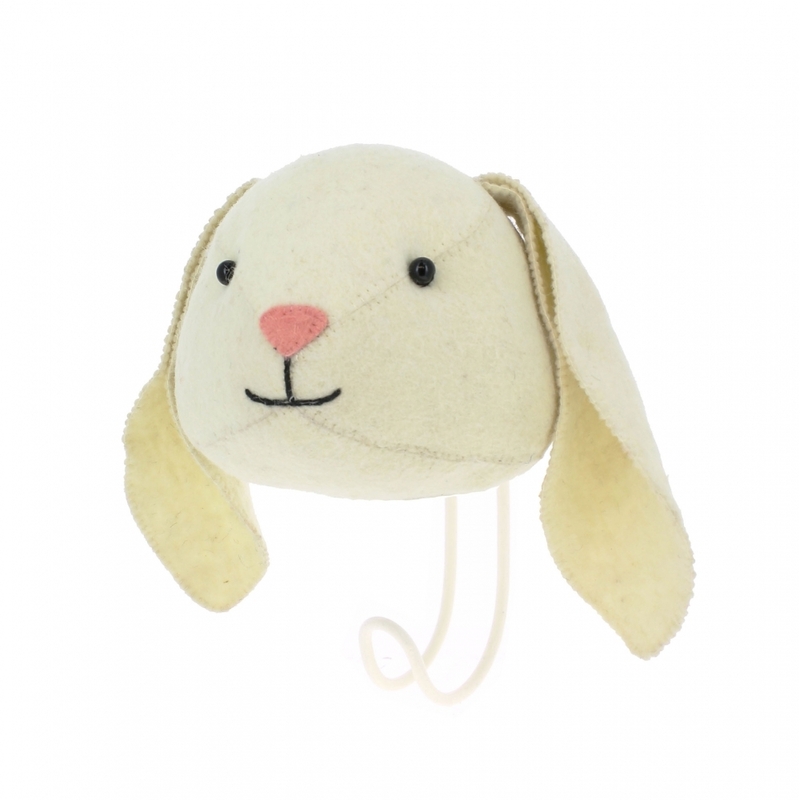 This decorative Felt Floppy Ear Bunny Head Coat Hook by Fiona Walker will be a fun and quirky addition to many homes. Team him up with the Felt Floppy Ear Bunny Animal Head Wall Decor to make a themed entrance way or room. With his floppy felt ears and pink nose, this cute bunny rabbit is ready to greet your guests in style and is sure to be noticed. It would also make an original gift. Other Fiona Walker felt coat hook designs are also available.